Claire Lew is the CEO of Know Your Company, a software tool that helps companies with 25 to 75 employees overcome growing pains. Her mission in life is to help people become happier at work. 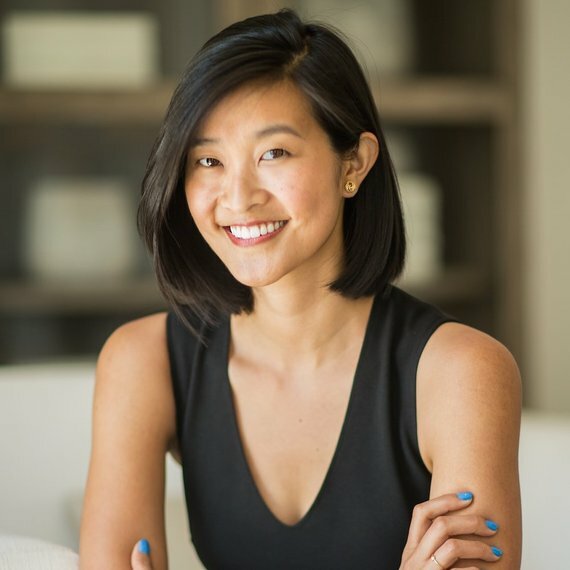 Her software, Know Your Company, helps do this for over 12,000 people in over 15 countries at companies like Airbnb and Kickstarter. When have you gone against the flow in your career? Oh sheesh, I feel like I'm going against the flow all the time! When I first got out of college, I turned down two job offers to go start a company with my friends. A few years later, I was at another early-stage company and decided to quit my job there to strike out on my own with 10 months of savings and a desire to solve the problem of feedback in the workplace. Today, I continue to go against the flow of what you "normally see" with Know Your Company. Our approach to growth and pricing is weird. We're a bootstrapped company that's generated over $700,000 with two people in a little over two years... all on a one-time pricing model. If you want to use Know Your Company, it's $100 per employee - and that's it. You get to use the software for life. There are no recurring charges. We do this because we believe a company should get feedback from its employees for life. Not for just a few months, or for however long it's convenient to do so. So our pricing model encourages a CEO to see getting feedback in this way - as a long-term commitment. It's definitely different than what you typically see in the software industry. But it works for us. What advice would you give to employees who want to give their CEO feedback but aren't sure how? About four years ago, I was an employee in this exact situation - I wanted to give my boss feedback but had no clue how. I've been there. It's so frustrating. You want to say something, but you don't feel comfortable and you're wondering if all the trouble to do it is worth it. In fact, this is the reason I started my own consulting practice, which led me to become the CEO of Know Your Company! Here are some of the lessons I've learned both personally and through the work we do with our customers. (1) First, schedule a time to speak with your CEO. (2) As you start the meeting, ask for feedback about yourself. When you focus on yourself first, you show vulnerability and help the CEO let his or her guard down. (3) Be clear that you have the company's best interests in mind. (4) Finally tell your CEO that your feedback is your point of view, and it's not coming from anyone else or a group of people at your company. (5) And then breathe. Relax. You've put your opinion out into the world using a sincere approach. Be open to the answers you receive. You work with more than 200 CEOs and business owners on company feedback and transparency. What's been the most surprising CEO blindspot you've seen? Across the two-and-half-years worth of data we've collected, we've seen the most common blindspot CEOs have is their employees feel they could be contributing more. In fact, when asked through Know Your Company, 75% of employees said, "Yes, there's an area outside my current role where I feel I could be contributing." This runs completely opposite to a common belief that many CEOs have, which is "My employees are too busy!" Now, your employees may very well feel slammed... However, this doesn't mean they aren't open to learning new skills or taking on projects that help them grow personally and professionally. This is an important insight for CEOs because it demonstrates the untapped potential your team has - something CEOs are always looking to find! What advice would you give to CEOs to avoid blindspots? Ask questions. There are two ways CEOs ask questions that will yield meaningful feedback. One thing you can do is ask your team for advice, instead of for feedback. People love to give advice, as opposed to feedback, which can feel intimidating and critical. For example, saying something like "I'd love to get your advice on how we should prepare for the upcoming client meeting" lets teams know their CEOs don't have all of the answers and everyone has a chance to help shape the direction of the company. Second, CEOs should ask specific questions. When you ask general, broad questions like "How are things going?" you're guaranteed to get a general, broad response. Instead ask something like, "What's one thing in the past week we could've done better?" Employees will give you much more actionable, specific feedback. Helping people. That's what drives me day in and day out. I know what it's like to live this problem firsthand, as an employee. The feeling that you don't have a voice at your company, or that whatever you say is futile is an incredible source of unhappiness. So helping employees not feel this way, and helping CEOs solve this problem and create better environments is what motivates me. Check out the other interviews in Going Against the Flow series at http://www.huffingtonpost.com/charu-sharma/ or goagainsttheflow.com.